The 2019 Nissan Altima redesign brings a host of new engines, features, and options to the lineup, including the first-ever all-wheel drive option. 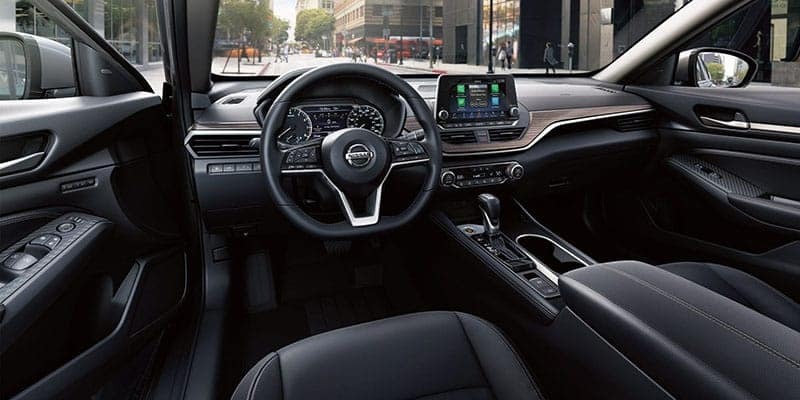 Check out some of our favorite features and specs on the all-new Altima midsize sedan, on sale now near Puyallup at Advantage Nissan in Bremerton, where we have a number of lease and finance specials going on now! The new Nissan Altima is available in a number of different trim levels to fit a variety of budgets. VC-Turbo™ 4-cylinder – The first-ever variable compression turbocharged engine develops 236 hp and 267 lb-ft of torque while getting up to 34 mpg highway and 25 mpg city. 2.5L DIG 4-cylinder – This all-new Direct Injection Gasoline engine makes 188 hp and 180 lb-ft of torque while getting up to 39 mpg highway and 28 mpg city. Come check out the all-new 2019 Nissan Altima AWD today near Port Orchard at Advantage Nissan, where each of our vehicles comes with our exclusive lifetime warranty coverage! Use our online payment calculator to get your budget set, and then stop by our dealership at 5101 Auto Center Boulevard in Bremerton, WA. We’re open every day of the week, and you can reach us at (360) 373-6300.